In 2014, UK company Surrey NanoSystems created a material so dark that it absorbed 99.96 percent of the light that touched it. Now, scientists have created a new version that is even blacker. Incredibly, it’s so dark that spectrometers can’t measure the percentage of light that it absorbs. The material, which is called Vantablack, is a special coating made from carbon nanotubes approximately 3500 times smaller than the diameter of a human hair. The tubes get packed so tightly together that when light enters the gaps between them it bounces around and can’t escape. "To understand this effect, try to visualise walking through a forest in which the trees are around 3 km tall instead of the usual 10 to 20 metres. It’s easy to imagine just how little light, if any, would reach you,” said researchers. 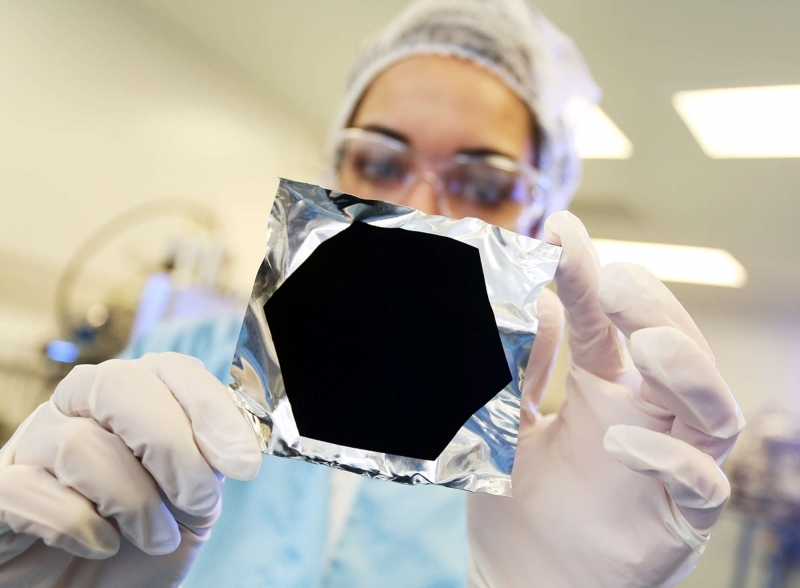 Using a new development process, Surrey Nanosystems have made an upgraded version of Vantablack; one so dark that even the most powerful spectrometer in the world can’t measure its light-absorbing properties. The material has hundreds of potential applications. In addition to sensors, cameras, and other scientific equipment, Vantablack may end up being utilized by the military. Stealth vehicles coated with the material would be more effective, and soldiers could become almost invisible when wearing Vantablack-covered gear at night. We can also expect the super-dark material to soon enter the art world, as renowned sculptor Sir Anish Kapoor announced that he’s bought the exclusive rights to use Vantablack in his work. "Imagine a space that's so dark that as you walk in, you lose all sense of where you are, what you are, and especially all sense of time," he told the BBC. Don’t expect to be able to buy Vantablack and coat your PC case, clothes, or car with it, though, as it’s not available to private individuals at this time. Instead, check out the video below of the material absorbing the light from a laser pen.